Luxury cruising and sporty performance are the two key concepts at the heart of a new 58 metre Open superyacht concept from Tankoa Yachts. The Italian yard has teamed up with the Francesco Paszkowski design studio to create what would be its fastest yacht to date. 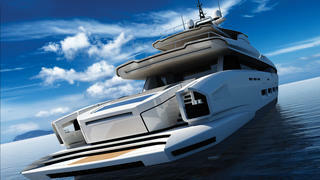 The streamlined profile of the Tankoa 58 Open reflects its flat-out speed; with the hull designed to take a triple 2,683hp MTU engine set-up, twin Kamewa water jets and a central booster. All of this power would combine with the lightweight aluminium alloy construction to deliver a top speed of 30 knots out on the open water. There is plenty of room for outdoor relaxation on board this sub-500GT yacht, with two sprawling aft decks and the open superyacht sundeck, which features a central bar and an al fresco dining area for up to ten people. 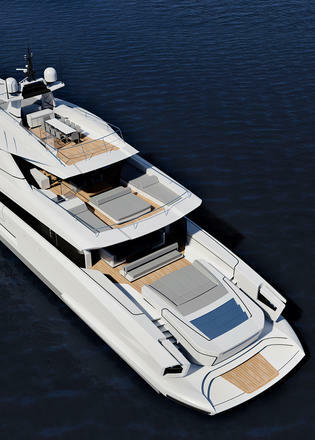 Shaded seating is provided on the foredeck, with its pop-up hardtop, while the cut-out sections in the topsides hint at a number of superyacht terraces on the main deck. 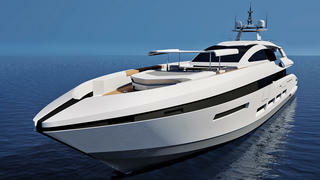 For greater on-board comfort, Tankoa Yachts has also specified a gyroscopic stabilisation system. 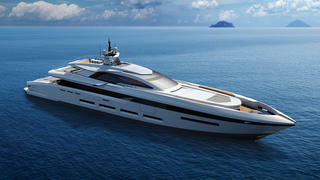 Other superyacht projects currently under development at the Genoa-based yard include the 71 metre Tankoa S701 and the 49.9 metre Tankoa S501, both of which are due to hit the water next year.